صمغ گوار (Cyamopsis tetragonoloba) یا دانه گوار به عنوان محصول صنعتی بزرگ در حال ظهور است. صمغ گوار از دانه گوار ساخته می شود. صمغ گوار کاربرد گسترده ای در صنایعمختلف. عمده خواست صمغ گوار از صنعت نفت و گاز طبیعی مشتق شده است. صمغ گوار درروند شکستگی هیدرولیکی برای تولید نفت خام استفاده می شود. صمغ گوار نیز در صنایعغذایی استفاده می شود. این است که به طور گسترده ای در پردازش مواد غذایی استفاده میشود. صمغ گوار (Cyamopsis tetragonoloba) یا دانه گوار محصول 90 تا 120 روز است. در دسترس بودن آب کم شرایط کشت شده می تواند. مدیریت مزرعه بسیار ساده است. آن شیوه های منظمکشاورزی در مزرعه نیاز ندارند. راه حل های مقیاس بزرگ با تکنولوژی بالا مکانیکی سیب کامل منابع خوب دانه کامل مزرعهتوسعه و مدیریت، تولید و فرآوری دانه گوار به تقسیم گوار گوار korma، گوار Churi، صمغ گوار،گوار محصولات sourcing، آموزش و قرار گرفتن در معرض تور بین المللی صدور گواهینامهکیفیت رنگ تحقیق و توسعه. ما به رهبری کشاورزی / کارشناس کشاورزی تجاری است که تداوم صمغ گوار (Cyamopsistetragonoloba) و یا کشت دانه گوار. ما با موفقیت پروژه اجرا شده در هند و اندونزی روسیه واروپا و تانزانیا، سودان و غیره. تیم ما خواهد شد کمک به شما در دستیابی به دانه های با کیفیتخوب، آماده سازی زمین، دانه کاشت و آبیاری و مدیریت حشرات، آفت مدیریت، مدیریت مواد مغذی و گوار برداشت محصول خاک. تیم ما نیز انتخاب زمین و برنامه ریزی مالی برای مدیریتپروژه ذخیره سازی و انبار را کمک می کند. کارشناس ما تجربه کامل به کار تحت کشت کامل مکانیکی آبیاری کنترل شده برداشت مکانیکی،مکانیک کاربرد حشره کش یا سموم دفع آفات در 100-200 هکتار منطقه بزرگ است. ما کارشناسهمچنین می تواند کمک به تولید و فرآوری دانه گوار به صمغ گوار سپس صمغ گوار تقسیم. گوار نیز در دام خوراک صنعت بخشی از گاو وحشی هندی دانه باقی مانده پس از پردازش به پودرصمغ گوار در خوراک دام استفاده می شود استفاده می شود. سرشار از پروتئین و فیبر است. Guar is emerging as newly industrial crop in India. The demand of the crop is increasing day bay day. 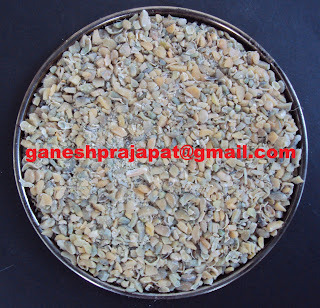 The Guar seed contain the guar gum, the Gum content. The Gum is easily soluble in cold water and there will be no change in the viscosity at high temperature. It is widely used in different industries like pharma, Natural gas industry, food processing, food industry, food additive, gelling agent , cattle feed, printing, textile, paper industry and other industries. In the world major production comes from India only, Pakistan also produces good quantity guar seed. In India Rajasthan, Haryana, Punjab and Gujarat are the major producing stage. Where Rajasthan contributes more than 70 % of total Indian Production, other major quantity comes from Gujarat and Haryana. Punjab also contributes good production. Traditionally the farmers use guar as the fodder crop where they grow guar as a last option. Crop is very important for the farmers as first of all it is used as fodder crop; the fodder of guar is highly nutritive in nature, it is easy to digest, the cattle eat it easily. Most of the cultivation comes from the rainfed area of the State, where Guar is grown on the basis of natural rainfall. The crop sustain in the adverse conditions. It gives very god production in the rain fed area. In some area of Rajasthan, Punjab and Haryana comes under the irrigated Guar. In irrigated area Guar gives around 20-25 Qt/ Hectare. A new are are coming under the cultivation on Guar crop in world, many countries are introducing guar as crop, it is already cultivated in USA, Spain, Austarlia and Many African Countries. May other countries are trying Guar as new crop. I regularly receive query from a lot of Growers. The other used of guar gum like food additive in food items, in food preservation, in the meat production, in pharmaceutical industry, in the printing industry, in the textile industry. The demand of gaur gum is increasing day by day from different industries. Guar gum is widely used in different operation due to its unique properties. The gum is derived from the Guar Plant which is grown in the western part of Rajasthan. The guar plant is grown as a legume crop which is used as cattle feed, green fodder, green manure. Since last one and half year we are looking a extreme boom in the demand of Guar gum. The major demand is coming from the oil and natural Gas industry for hydraulic fracturing process. Just because of the stocking activity the rate of guar gum is increasing. 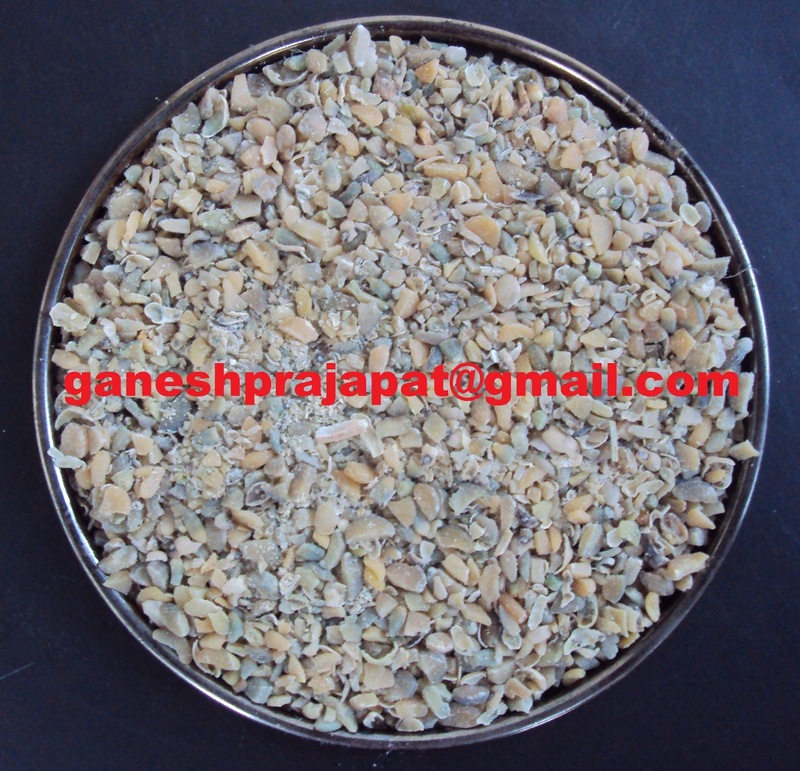 The production cost of the guar gum is increasing just because of guar seed. Now the guar seed need more and more production in the world. The people are trying the guar seed as a new crop but they are failing in their trial. The source of their knowledge is not from trusted sources and that is leads to the unsuccessful. Goma de guar (Cyamopsis tetragonoloba) ou de sementes de guaré está emergindo como principais culturas industriais. Goma guar pó é fabricado a partir de sementes de guaré. Goma guar pó tem ampla aplicação em indústrias diferentes. Grande demanda de goma Guar pó é derivada da indústria de petróleo e gás natural. Pó da goma de guar é usado no processo de fraturamento hidráulico para a produção de petróleo bruto. Goma guar pó também é utilizado na indústria alimentar. É amplamente utilizado em alimentos processados. Goma de guar (Cyamopsis tetragonoloba) ou de sementes de guaré são colheita de 90-120 dias. Isso pode ser cultivado em condições de disponibilidade de água de baixa. Gestão agrícola é muito simples. Ele não requer práticas de agricultura regular na fazenda. Solução para o cultivo mecânico de alta tecnologia em grande escala, completa terceirização de boa semente, completar o desenvolvimento de fazenda e de gestão, processamento de sementes de guaré Split Guar, Guar korma, Churi Guar, goma Guar pó, terceirização de produtos de Guar, treinamento e turnê da exposição, a certificação de qualidade internacional, coloração de pesquisa e desenvolvimento. Nós estamos conduzindo a agricultura / especialista de agronegócio, que prevêem a goma de Guar (Cyamopsis tetragonoloba) ou o cultivo de sementes de guaré constância. Implantamos com sucesso o projeto na Índia, Indonésia na Rússia, Europa, Portugal, Tanzânia, Sudão etc. Nossa equipe irá ajudá-lo a adquirir as sementes de qualidade boa terra preparação, sementes de sementeira, gestão de irrigação, gerenciamento de inseto, pragas, solo nutriente gestão e guar colheita colheita. Nossa equipe também irá ajudar a seleção de terrenos, planejamento para gerenciamento de projetos, armazenamento e depósito financeiro. Nosso perito tem experiência completa para trabalhar sob cultivo mecânico completo, irrigação controlada, colheita mecânica, aplicação mecânica de inseticida ou pesticida em área grande de 100-200 hectares. Também pode ajudar o nossa especialista para entender a transformação de sementes de guaré em dividir Então pó de goma guar goma de guar. Guar também é usado na indústria, a restante parte da semente Gonçalves após transformação em pó a goma guar é usada na alimentação do gado de rações. É rico em proteína e fibra.